There are two swimming pools in Phimai town. One is in the grounds of the Phimai Inn. The other one is in the grounds of the Phimai Paradise Hotel. Both swimming pools are open to the public. Parking is available at both locations. The Phimai Paradise Hotel is located on Samai Rujee Road – not far from the Phimai historical park, the town clock and the night market. The swimming pool is open from 8am to 7pm and is located to the rear of the hotel, next to the hotel car park. The cost of using the pool for non-residents and non-members is 70 baht for adults and 50 baht for children. Hotel guests and members are charged 50 baht for adults and 30 baht for children. Payment is made at the hotel reception on the ground floor. There are no changing rooms but there are clean toilets where you can change into and out of your swimwear. The size of the swimming pool is approximately 12 metres x 6 metres. 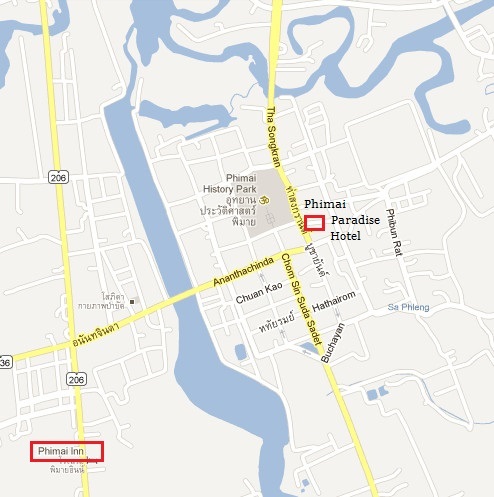 The Phimai Inn hotel is located on the bypass approximately 500 metres from the main bus station. 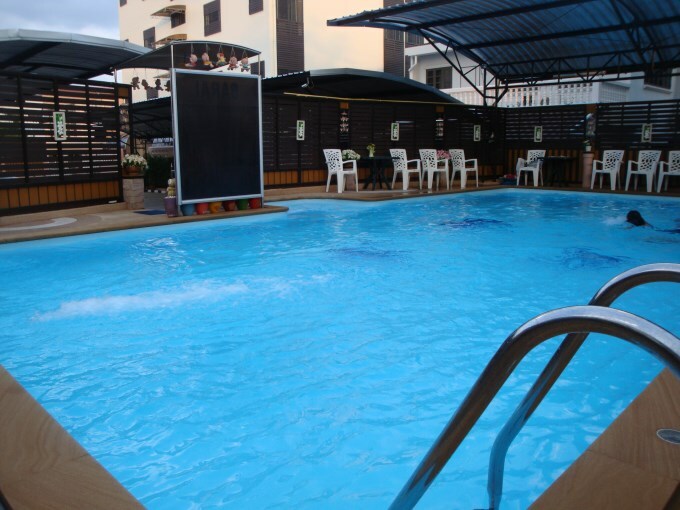 The swimming pool is located to the rear of the hotel main building, near the restaurant. It is free for hotel guests to use the pool. 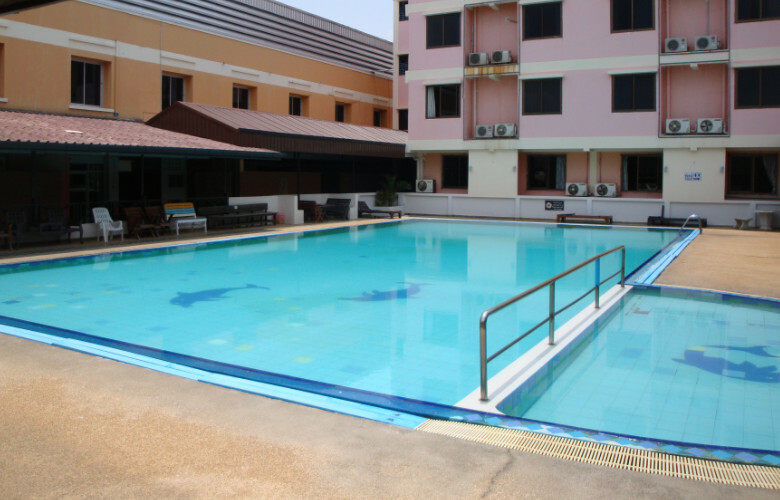 The cost of using the pool for non-residents is 40 baht for adults and 30 baht for children. Payment is made at the desk near the entrance to the pool in the restaurant area. The pool is approximately 9 metres x 18 metres in size and there is a smaller, shallow pool for young children attached to it. Cool showers are available in the changing/toilet area. Parking is available at the front, rear and side of the hotel.